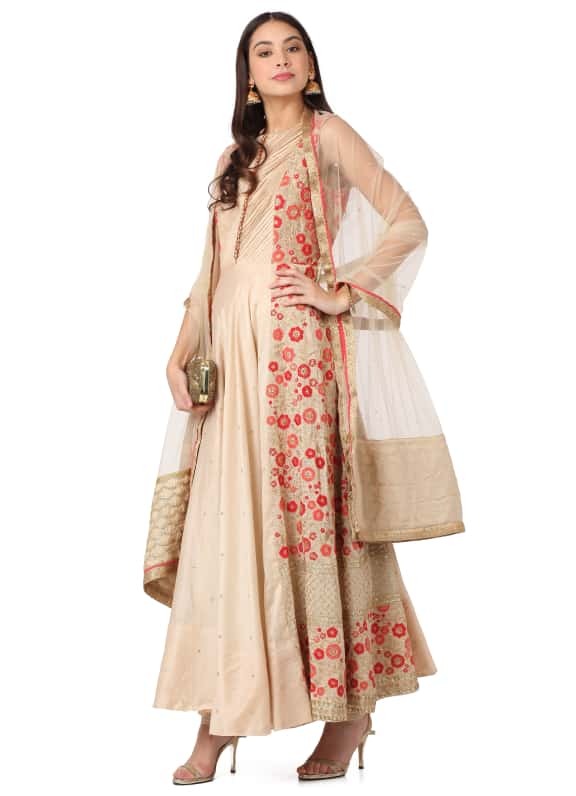 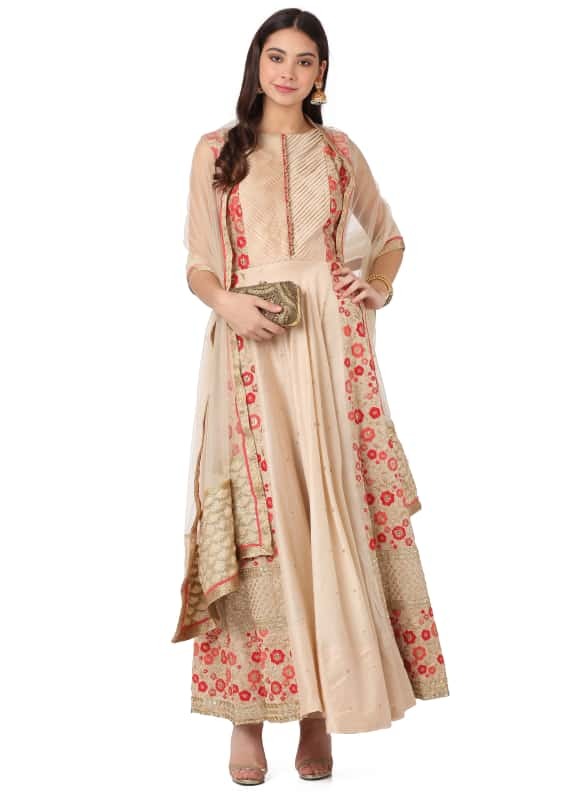 This ensemble comes with a pleated bodice and floral thread zari and sequins embroidery on the sides. 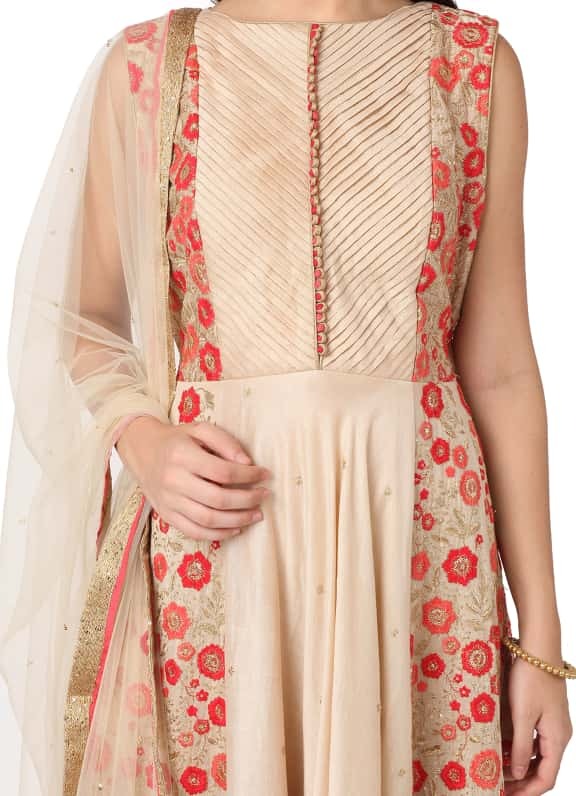 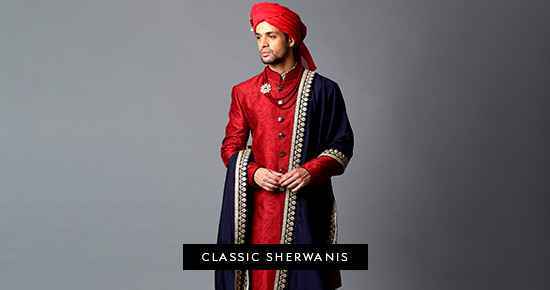 It is paired with a matching churidaar and dupatta. 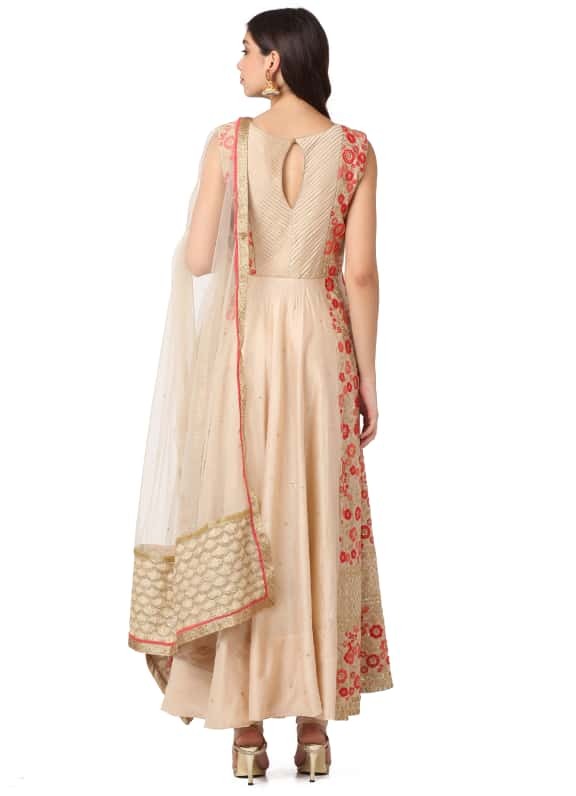 Wear this neutral hue for a sunny mehendi ceremony and style your look with a pair of earrings and a gold bangle by Amethyst and a clutch by Alana.